I have my Welsh friends Ioan and Christine visiting me this weekend, and I was tasked with two important things to make their visit memorable, i. e., make sure I book at least one musical that is highly entertaining and something that will be good enough for Ioan as this is his supposed foray in theatre. So having remembered the good reviews on Zorro the Musical one of which came from the the West End Whingers, I decided to book it this evening and in keeping with the ongoing Spanish-Mexican theme of Zorro, I need to find an equally good Spanish restaurant for our pre-theatre meal. See, if we were in Edinburgh I will easily take them in the direction of Barioja. Having just signed up with tasteLondon, it was quite surprising to find that there werent very many Spanish restaurants around Central London, and that’s how we found our way to El Cantara. The lady who took our reservations was very friendly and as it was not a busy time at 6 pm, we were seated straight away and was served their quite good on the palate House Red in no time whilst we were still busy deciding on their inventive menu. 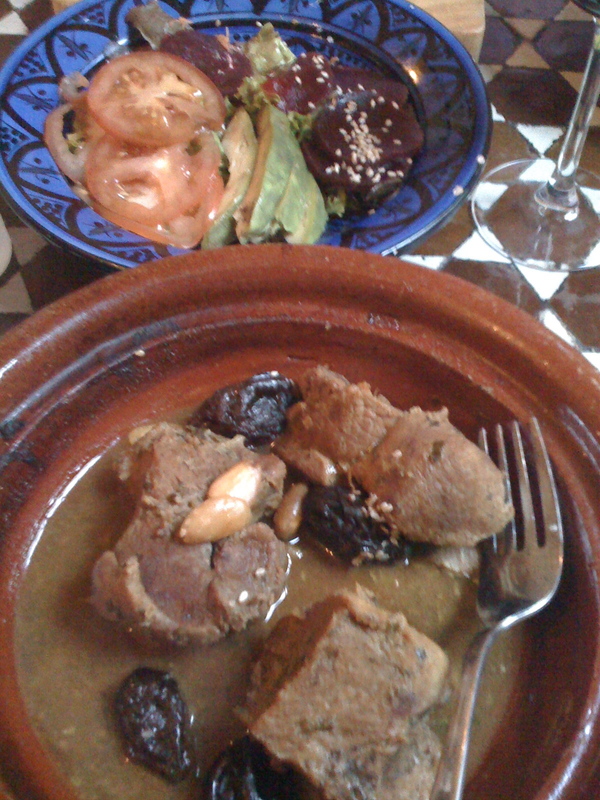 Christine opted to order several dishes to make them into her own little tapas treat whilst Ioan and I settled for their tagine lamb – lamb cooked with cinnamon, honey, prunes rosewater, showered with almonds and served with cous cous. 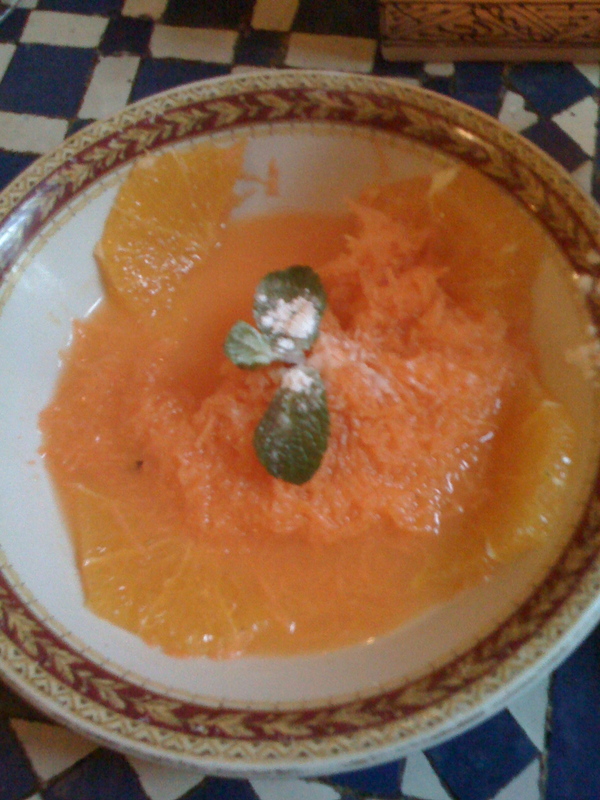 I was so intrigued by the orange and carrot salad so I also had it as a side dish. I thought that it was quite interesting, the differents bursts of flavour of all the dishes. 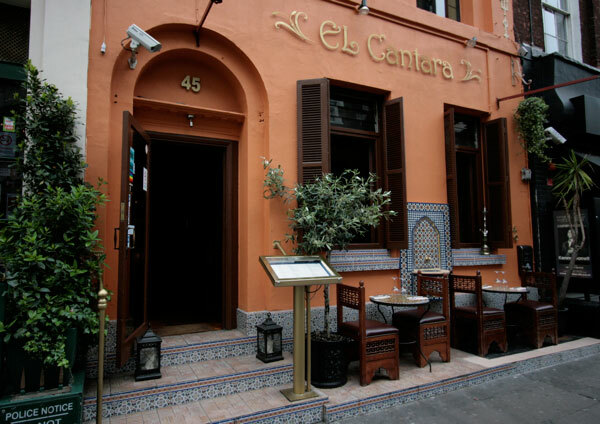 We also later found out El Cantara is more Spanish-Moroccan. A two-course meal with a glass of wine came out to an affordable £20 plus gratuities. As I have no claim of reference whether it’s a good enough Spanish-Moroccan restaurant, I’ll give it a good score for its inventiveness, good ambience and exceptional service. Looks you chose a good place Simone. 🙂 I hope in the near future, our family will be the one paying you a visit. Hipag! Yeah the ambience was great but the food I wouldnt rave about so much, maybe it will improve on another visit.